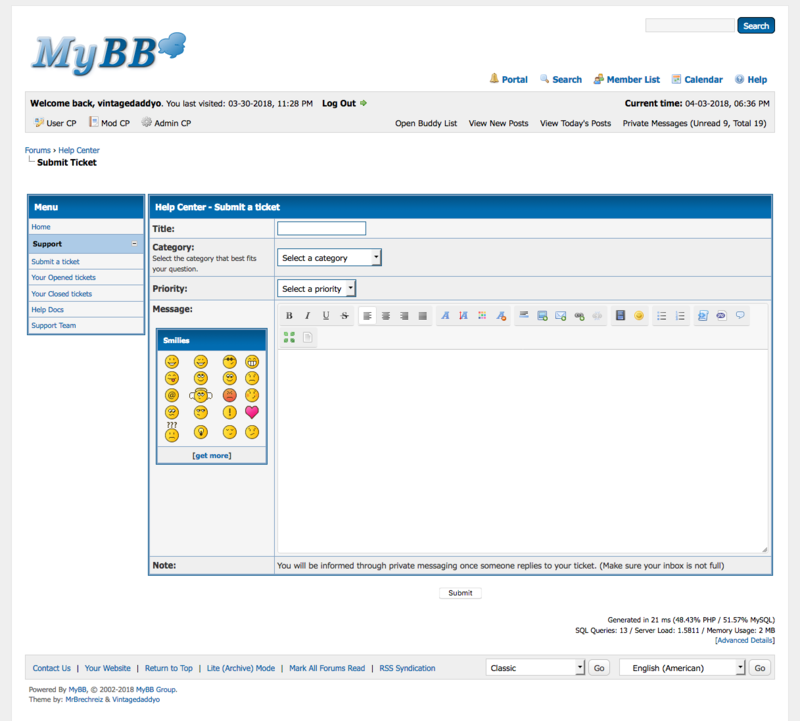 Im Foren-Profil bei MyBB.com (englischsprachig) finden sich weitere Informationen und Kontakt-Möglichkeiten zu diesem Benutzer. 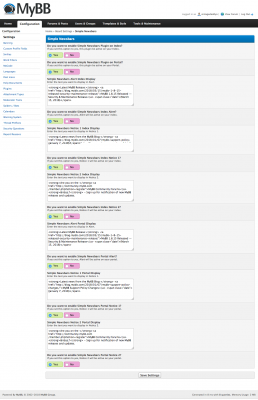 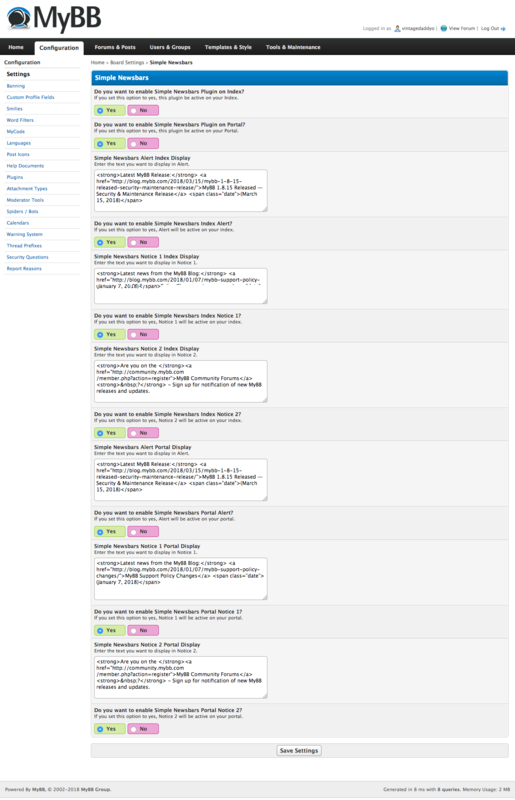 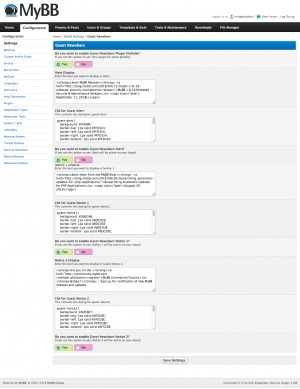 This system displays an ad the bottom of your forum, and rotates through a list of ads. 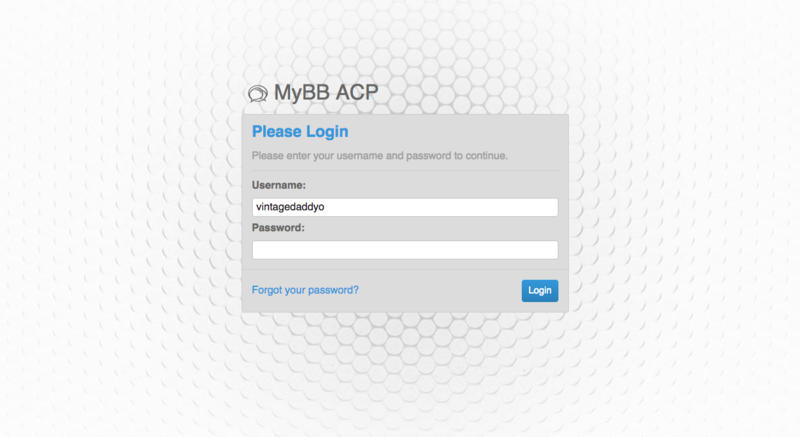 This a simple ACP Style for MyBB enthusiasts. This a simple classic 1.4 theme updated to 1.8 for MyBB enthusiasts. 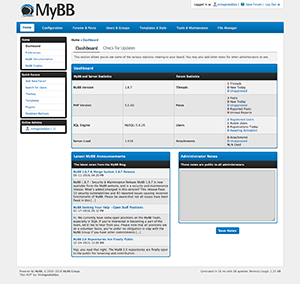 This a simple classic 1.2.x theme ported to 1.8.x for MyBB enthusiasts. 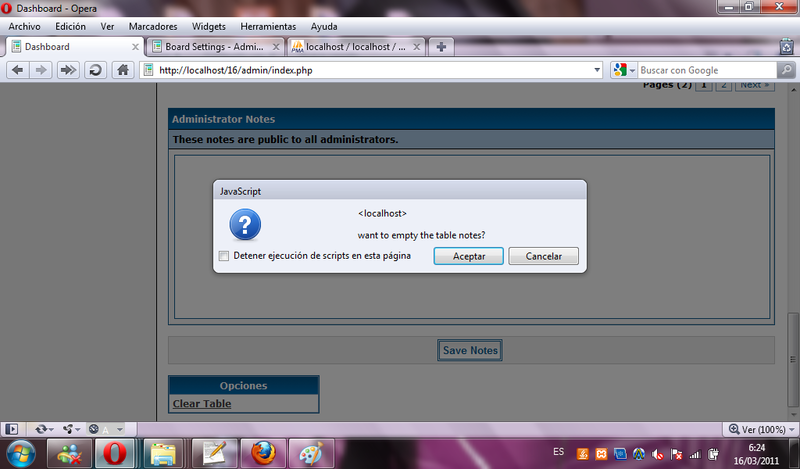 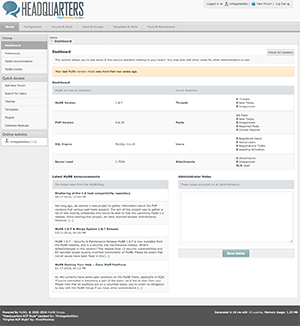 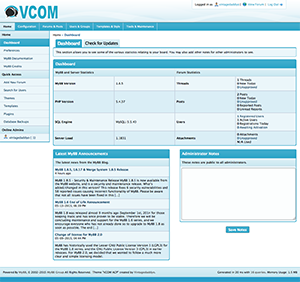 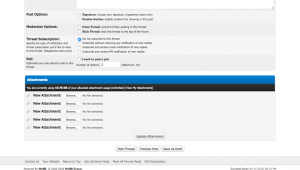 It is a enhanced version of the Blue Bulletin Template with shade tabbed header menu. 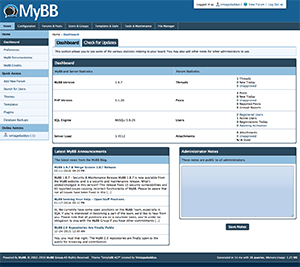 A light blue theme based off the original MyBulletin theme plus vb styled nav with a little inspiration from the Admin Blue ACP theme. This is a simple dark theme for MyBB enthusiasts styled similar to the ACP Style of the same name. This a simple RTL ACP Style for MyBB enthusiasts. 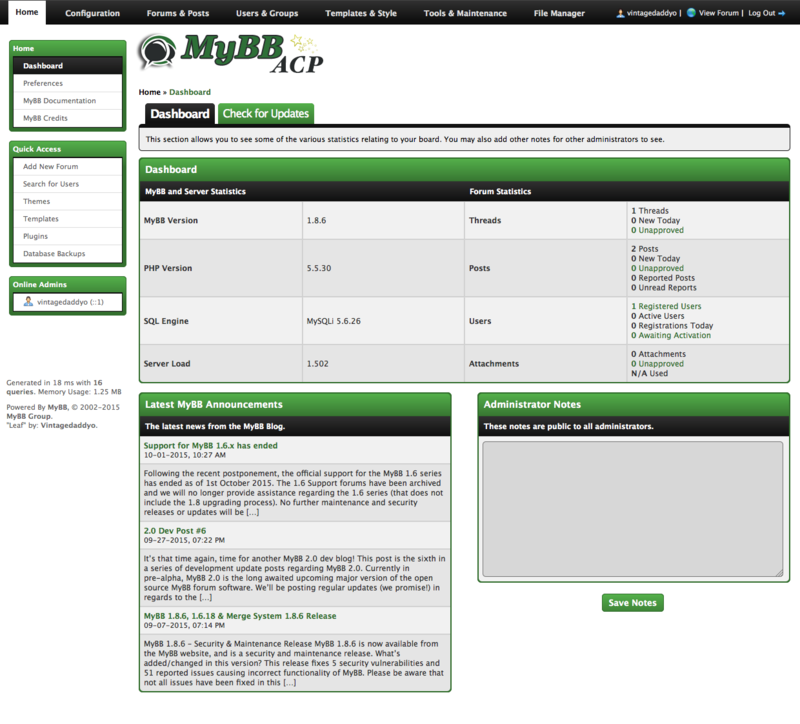 A simplistic dark theme for the MyBB ACP. Display latest posts, Top posters, newest members, top thanked, most views thread, hotest thread (most reply thread), most popular forum. 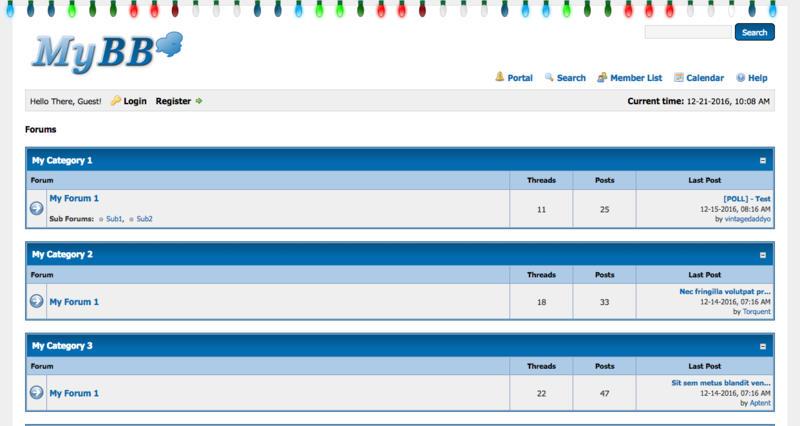 This plugin allows you to display Christmas lights at the top of your forum. 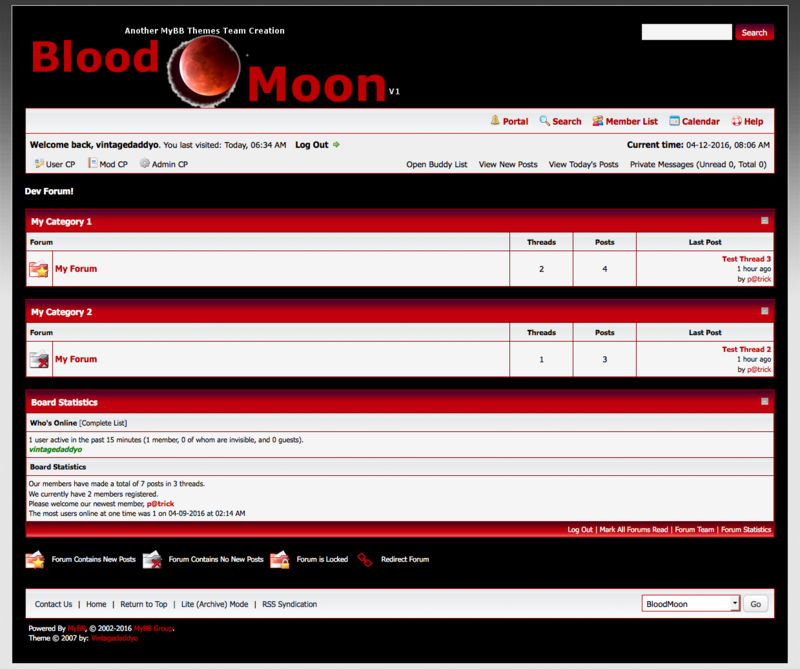 You can even smash them by hovering over them. This a simple theme based on the old classic theme for MyBB enthusiasts. 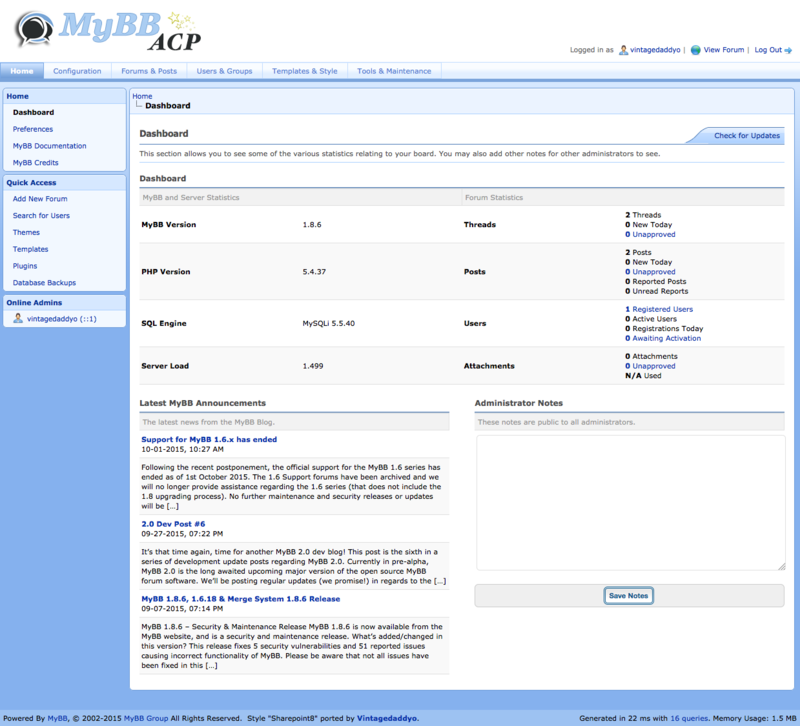 This a simple ACP Style port from 1.6 to 1.8 for MyBB enthusiasts. This a simple classic RTL theme for MyBB enthusiasts. 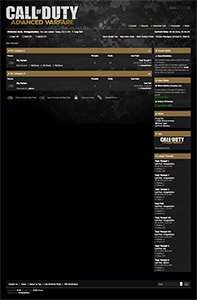 This is a simple dark theme for MyBB enthusiasts styled for Call of Duty fans. 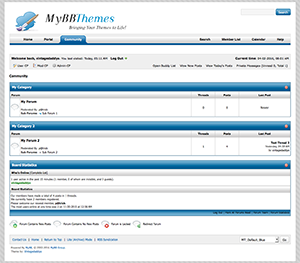 This theme for MyBB enthusiasts is made to be similar to the MyBB Community forum theme background width and image as well as side padding and as well as the toplinks moved to panel upper and quicksearch moved to top. Announcements with the possibility of changing the style. 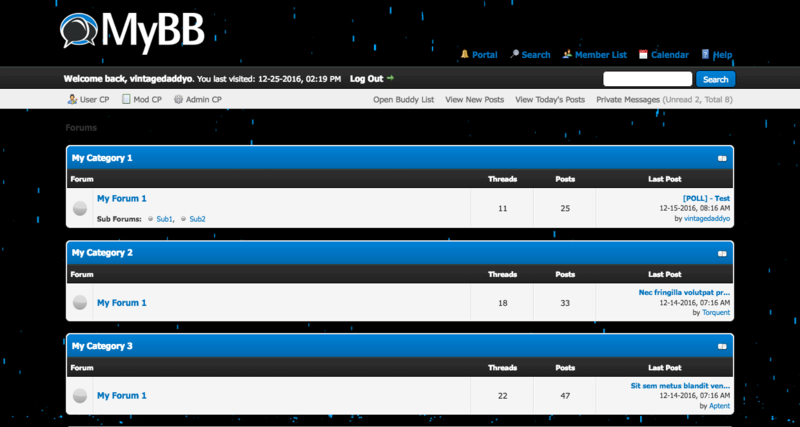 (with marquee). 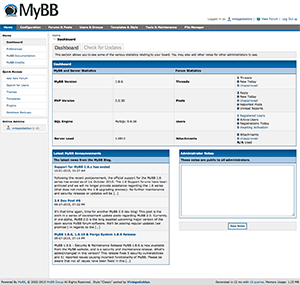 This a simple classic 1.4.x theme ported to 1.8.x for MyBB enthusiasts. 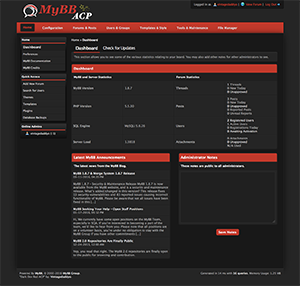 Darkmin is a free dark ACP style in Flat Design for MyBB 1.8.x. 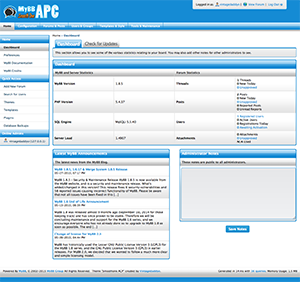 Style is responsive and multi-color. 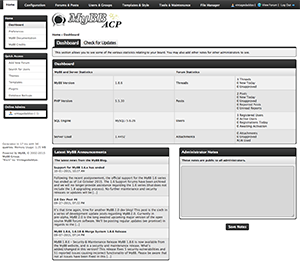 All panel sections (even custom!) 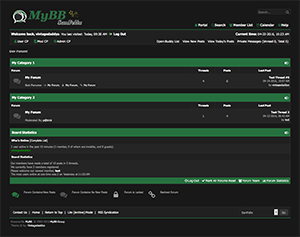 has own pastel color! 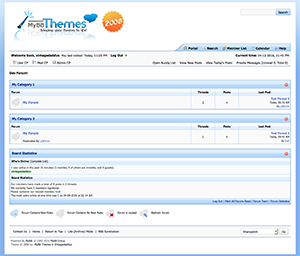 Does not require installation of extra plugins though simple mode must die plugin is provided. Darkmin2 (Darkmin variant) is a free dark ACP style for MyBB 1.8.x. Style is responsive and multi-color. 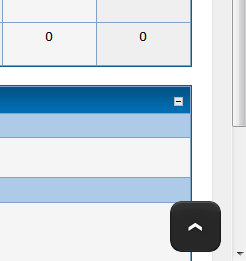 All panel sections (even custom!) 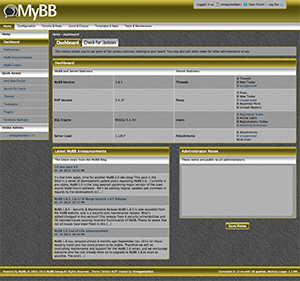 has own pastel color! 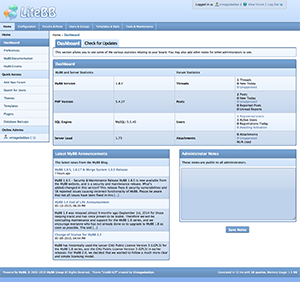 Does not require installation of extra plugins though simple mode must die plugin is provided. Adds beautiful dark rain to your board. This a simple Hybrid of the Default ACP Style for MyBB enthusiasts. 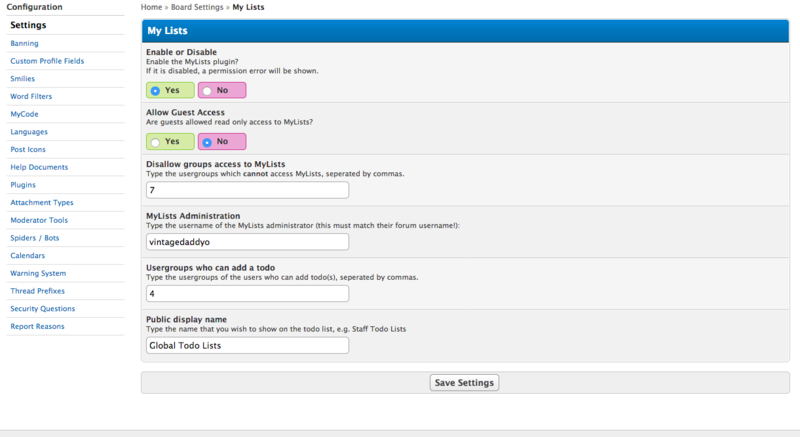 Adds an automatic and dynamic "To Top" button to scroll long pages back to the top. 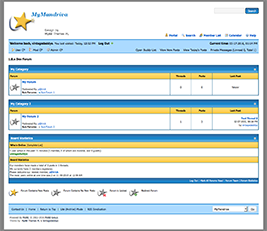 Adds a beautiful fireworks to your board. 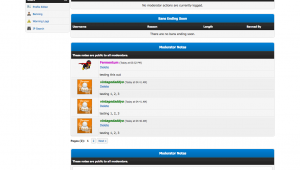 ForumsIcons allows you to put image icons to the forums! 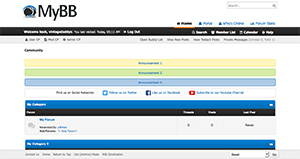 Allows you to add custom CSS for each groups posts. 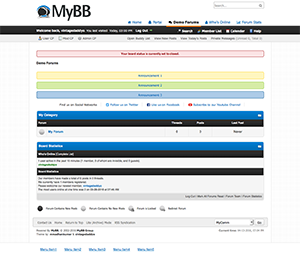 Help Center is a powerful and efficient help center for MyBB. 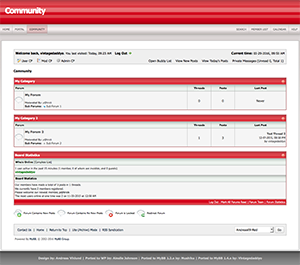 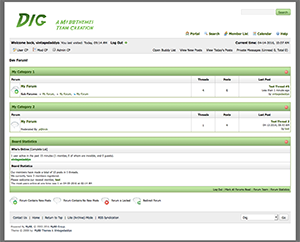 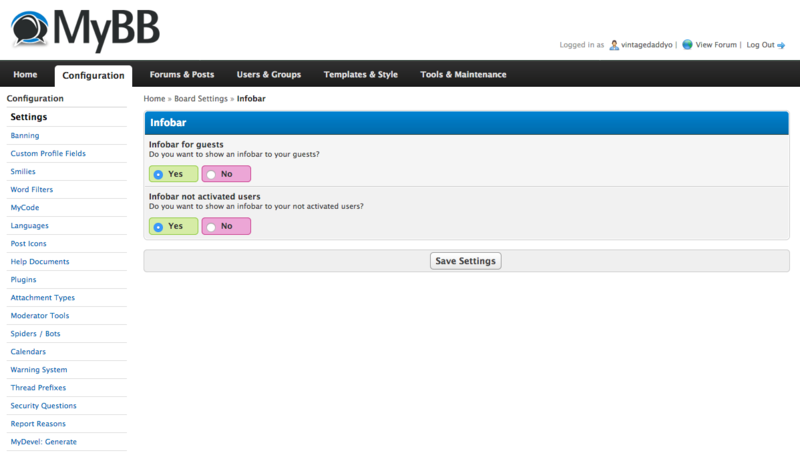 Shows an Infobar at the top of the board to guests and users that have not activated their account. 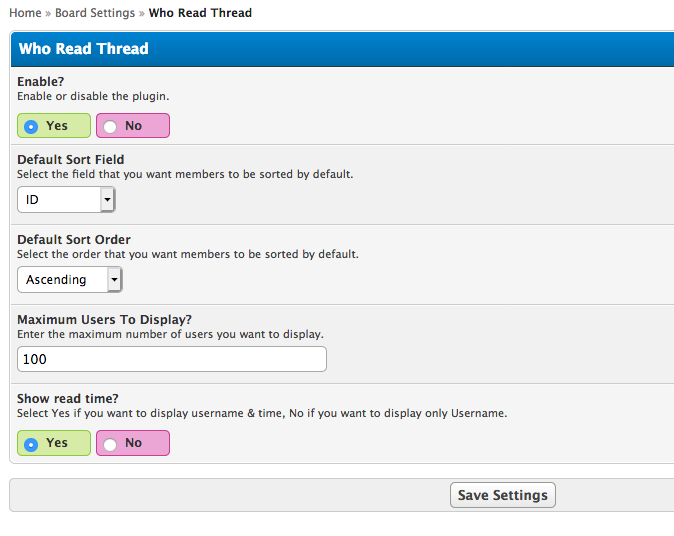 Display last threads in user profile. 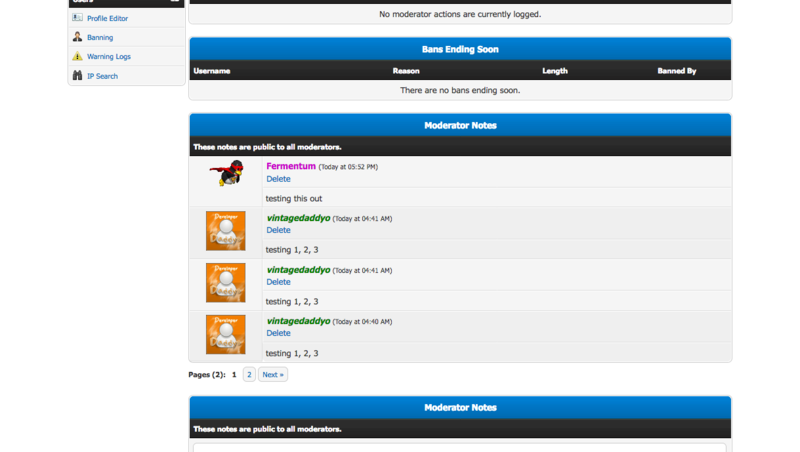 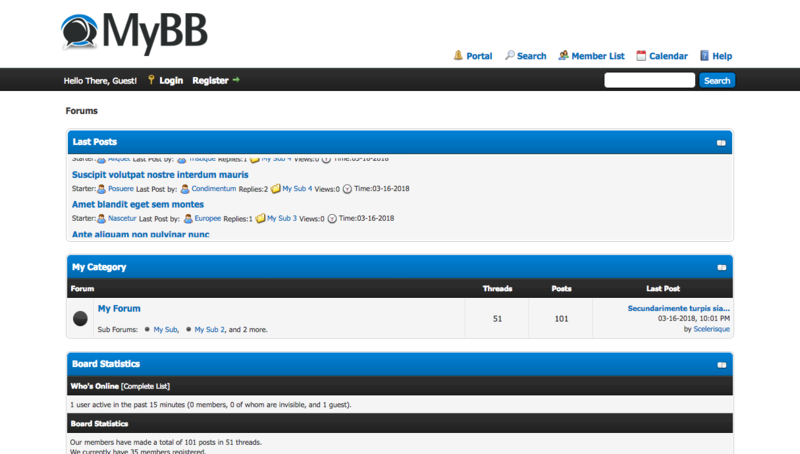 Lets you implement trending threads marquee/ticker for your forum index page. 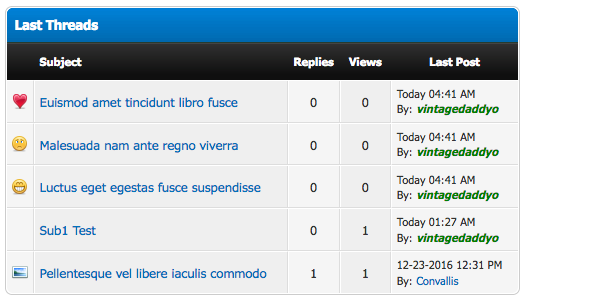 This plugin change the way how open thumbnails in posts or threads. 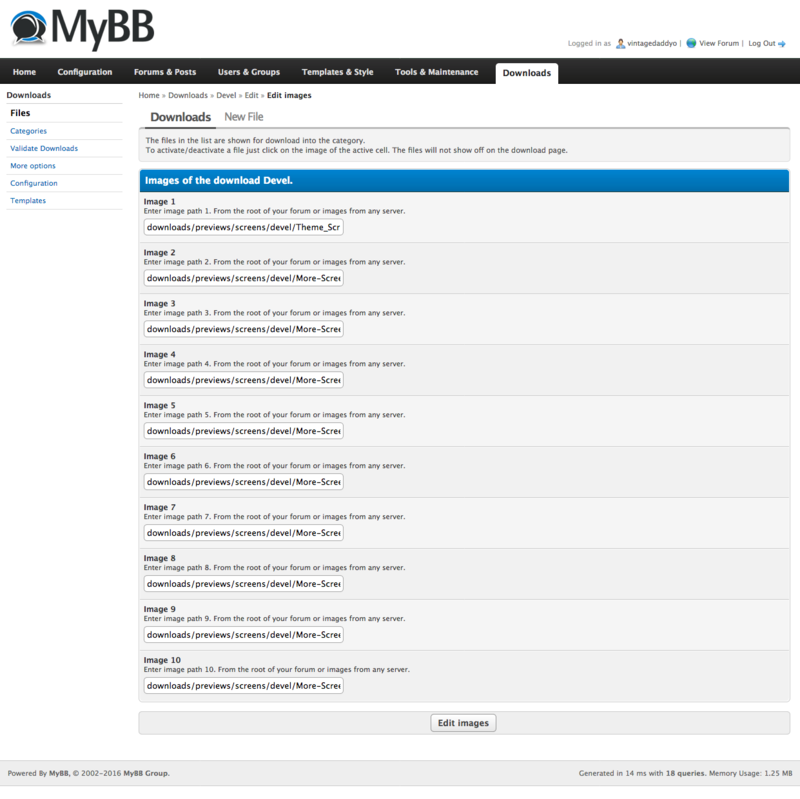 They now open directly with Lightbox 2 and no more in a new tab or window! Lightmin is a free dark ACP style for MyBB 1.8.x. 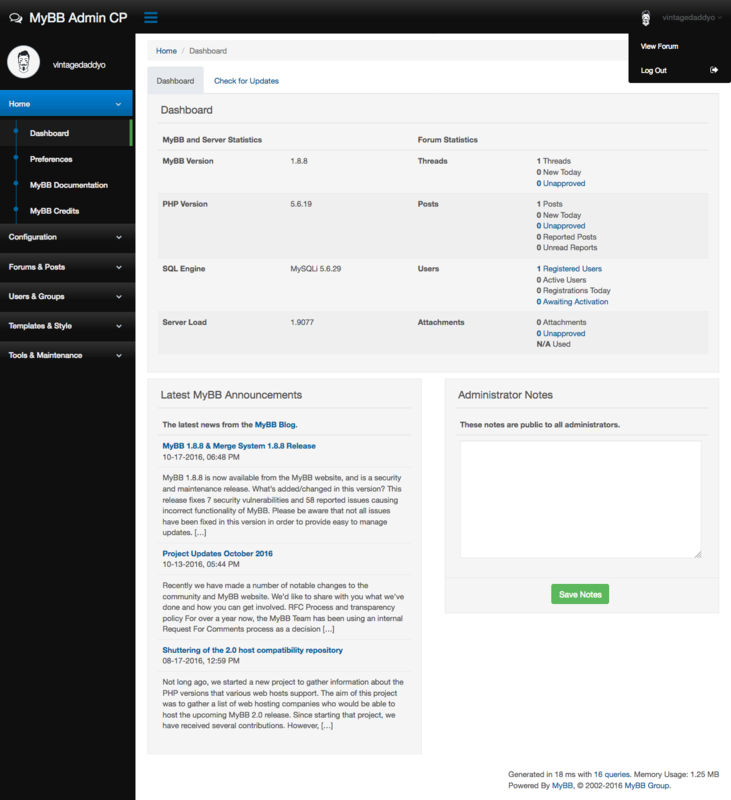 Style is responsive and multi-color. 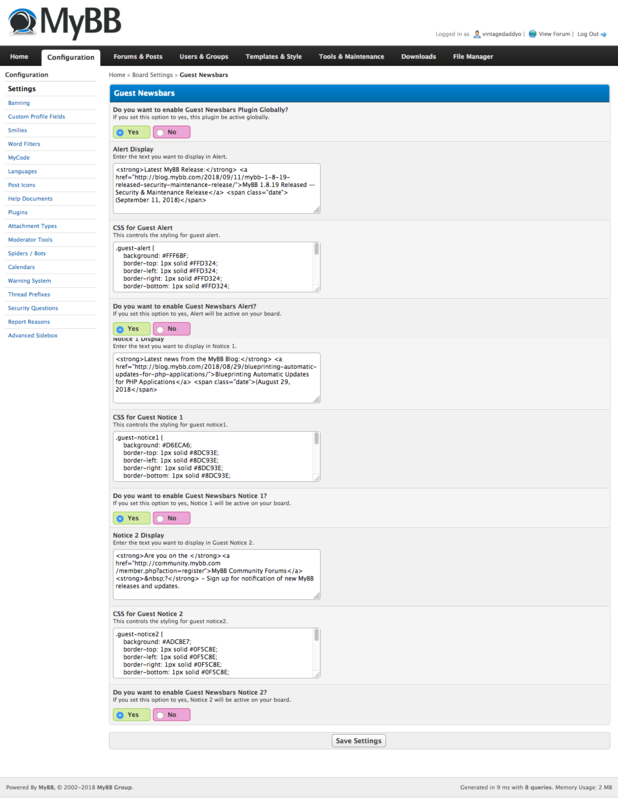 All panel sections (even custom!) 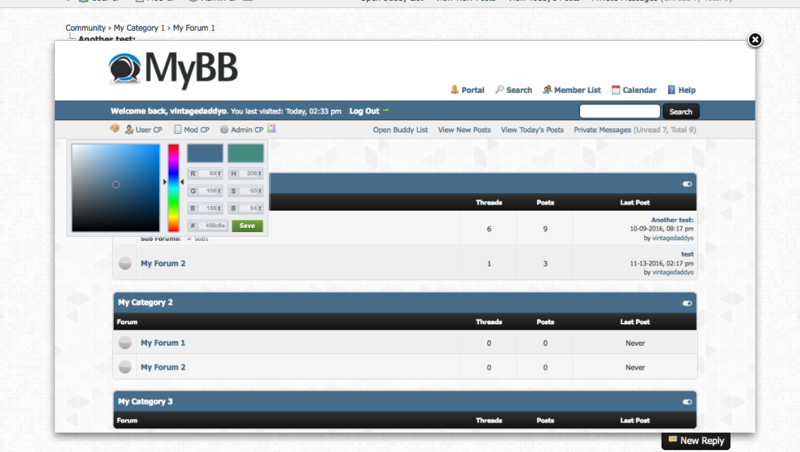 has own pastel color! 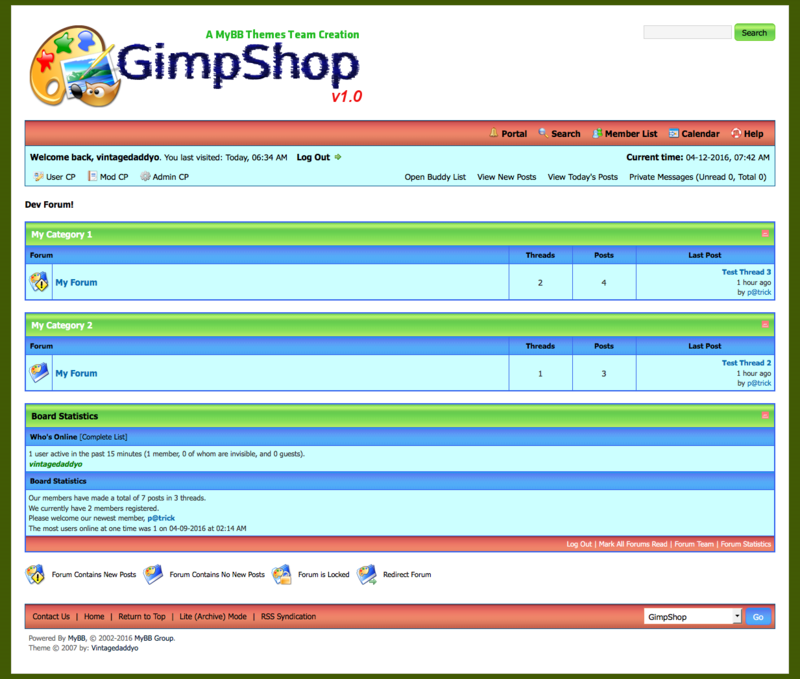 Does not require installation of extra plugins though simple mode must die plugin is provided. 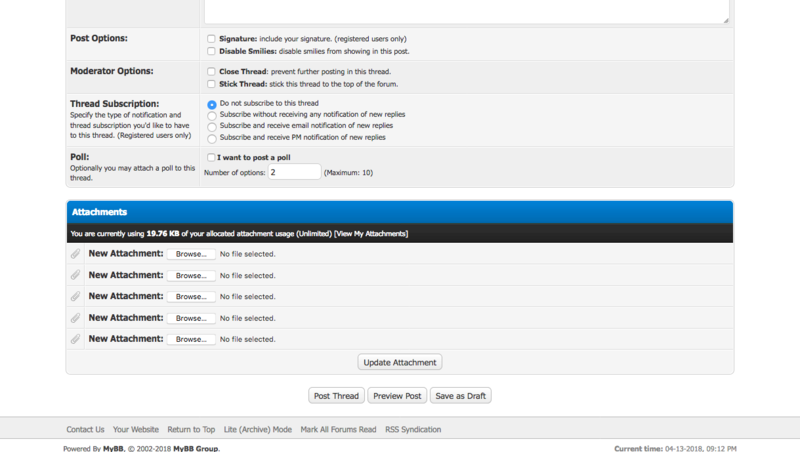 Add 4 boxes to upload file attachments allowed 5. 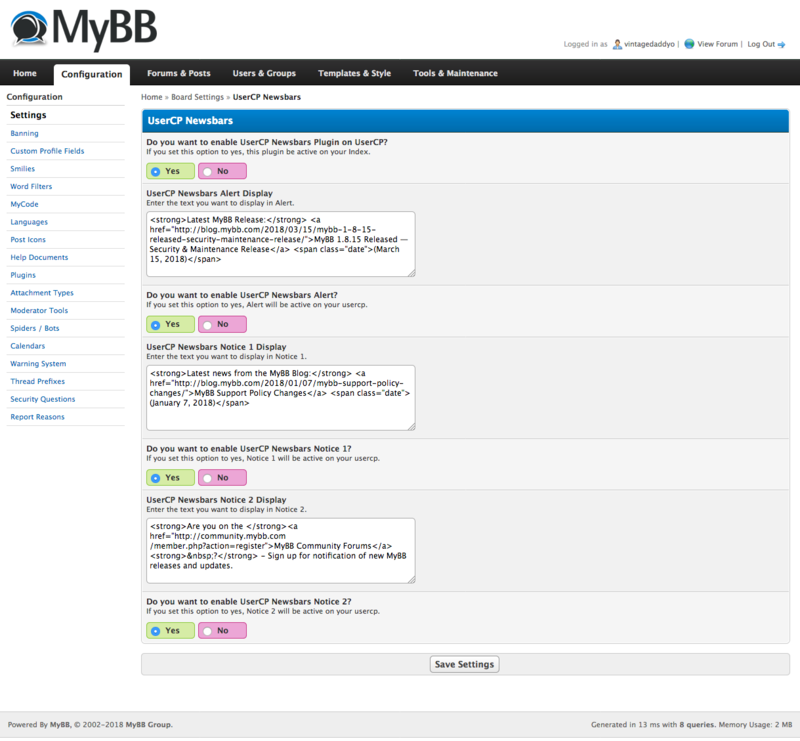 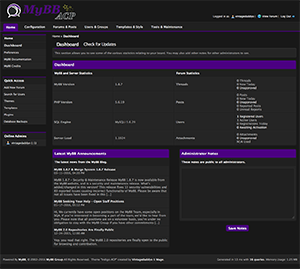 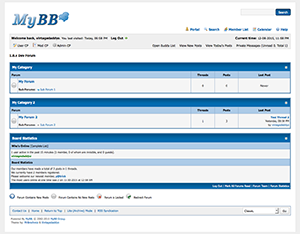 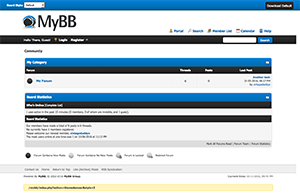 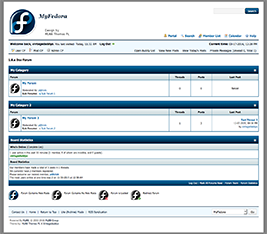 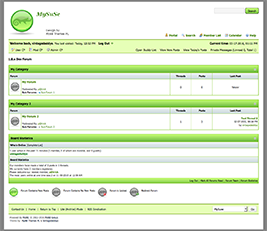 This theme for MyBB enthusiasts is made to be similar to the MyBB Community forum theme header as well as side padding. 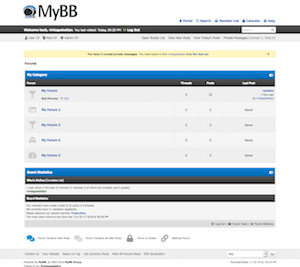 This a simple older theme ported to 1.8 for MyBB enthusiasts. 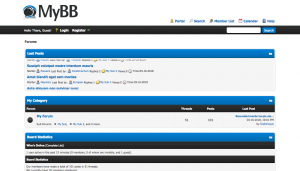 Generate users, threads and posts for development purposes. 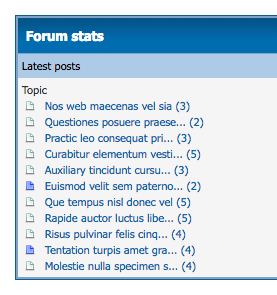 Lets you implement custom Font-Awesome icons for your forums. 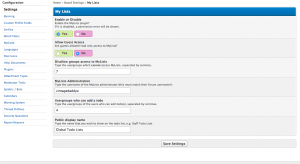 This plugin creates a global &apos;todo&apos; list page. 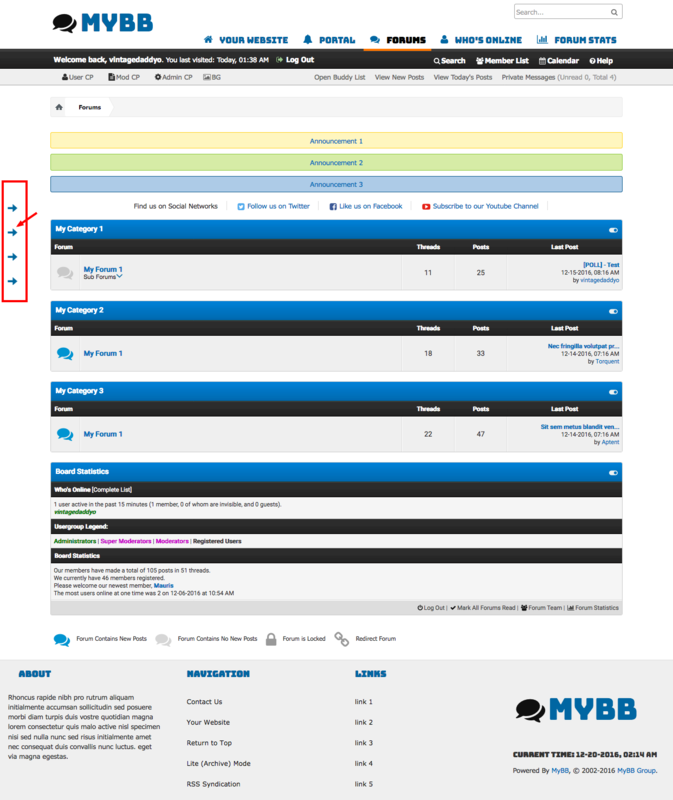 This theme for MyBB enthusiasts is made to be similar to the MyBB Community forum theme header with the adition of nivo slider on index and portal. 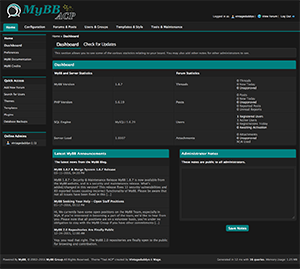 This a simple 1.4 theme ported to 1.8 for MyBB enthusiasts. 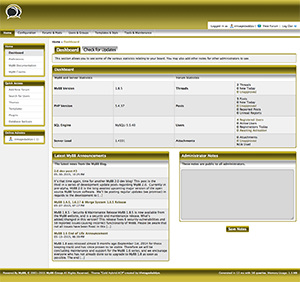 Enhances the profile of all members with a list of their own buddies. 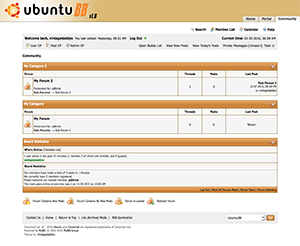 Change the Random Logo when updating page! A simple red theme based off the original MyBulletin and BlueBulletin theme plus vb styled nav. It is a enhanced version of the Red Bulletin Template with shade tabbed header menu. 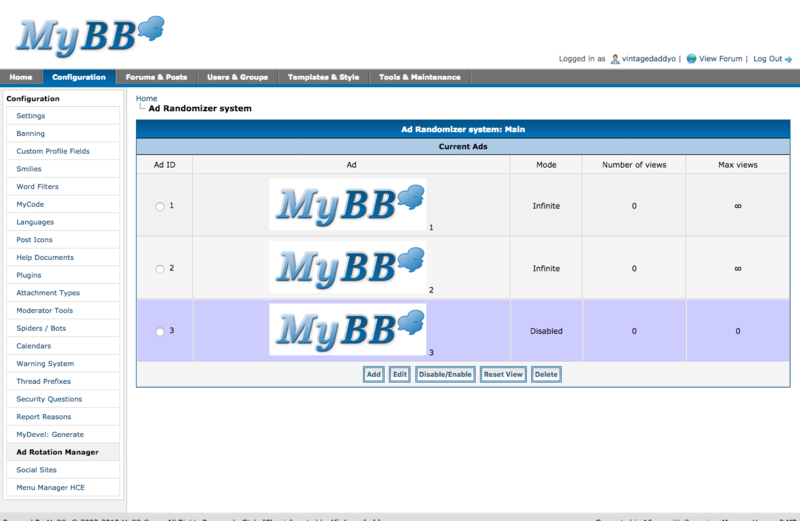 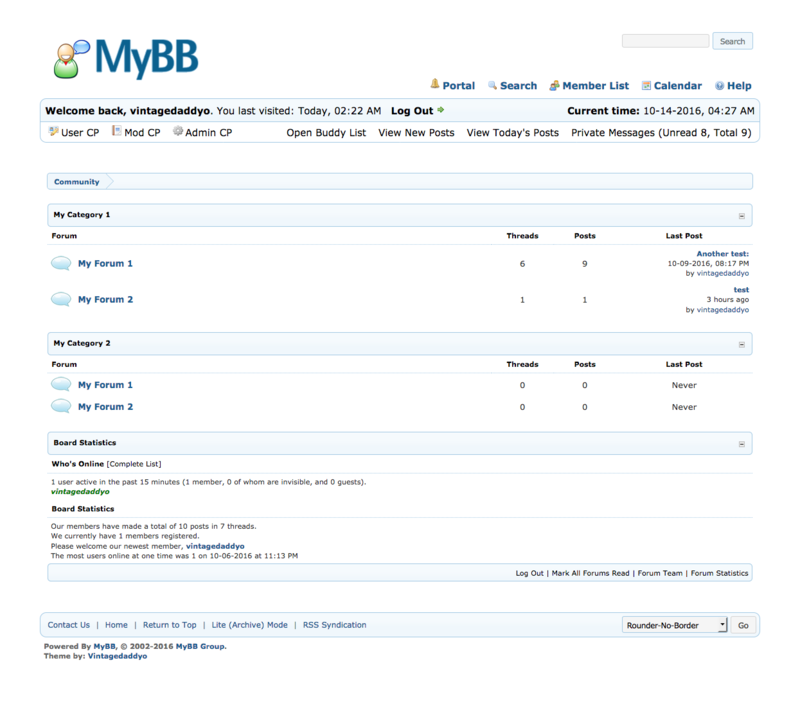 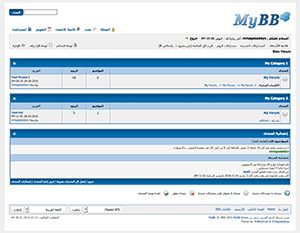 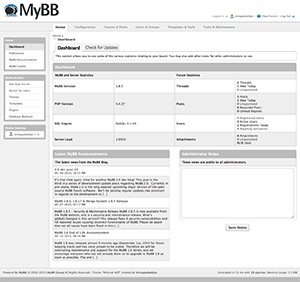 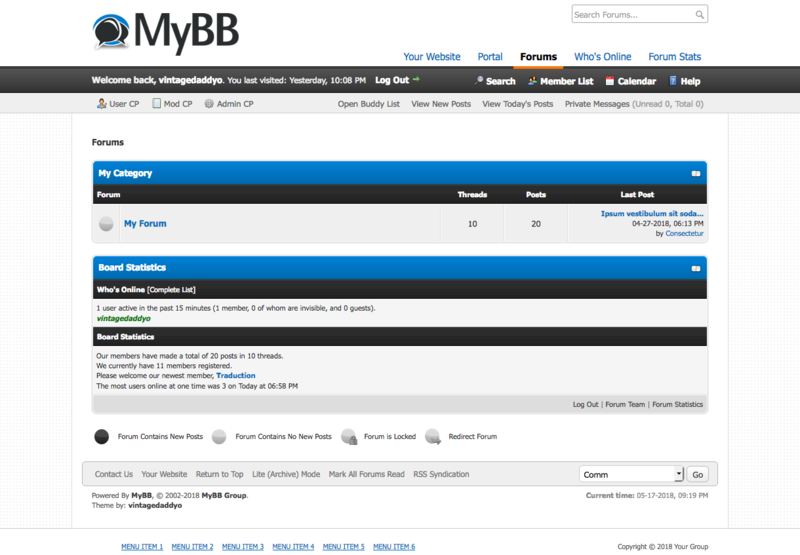 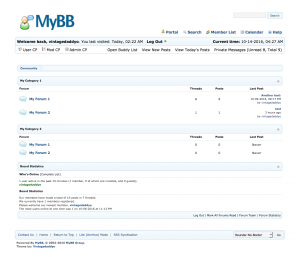 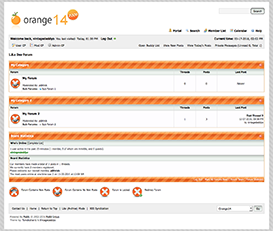 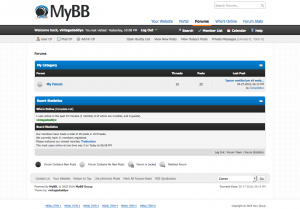 This theme for MyBB enthusiasts is called Rounder. 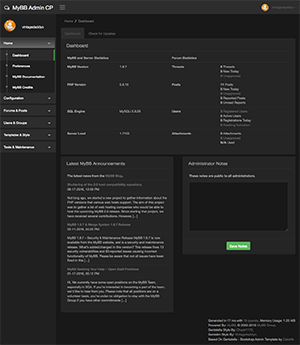 Rounder theme version created on 1.8.7 released for a user&apos;s request thread at: Does there exist any theme with rounded or no borders at all? This theme for MyBB enthusiasts is called Rounder No Border. 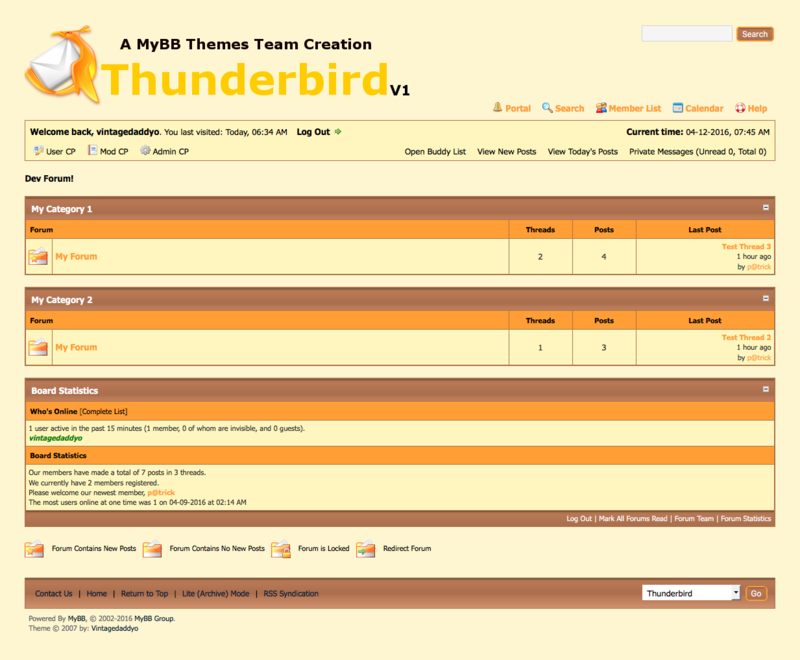 Rounder No Border theme version created on 1.8.7 released for a user&apos;s request thread at: Does there exist any theme with rounded or no borders at all? 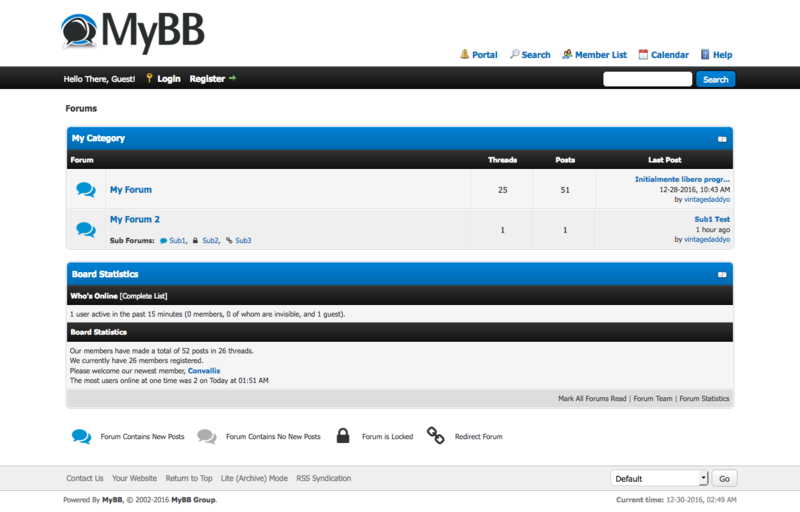 A darker blue theme based off the original BlueBulletin theme plus vb styled nav. 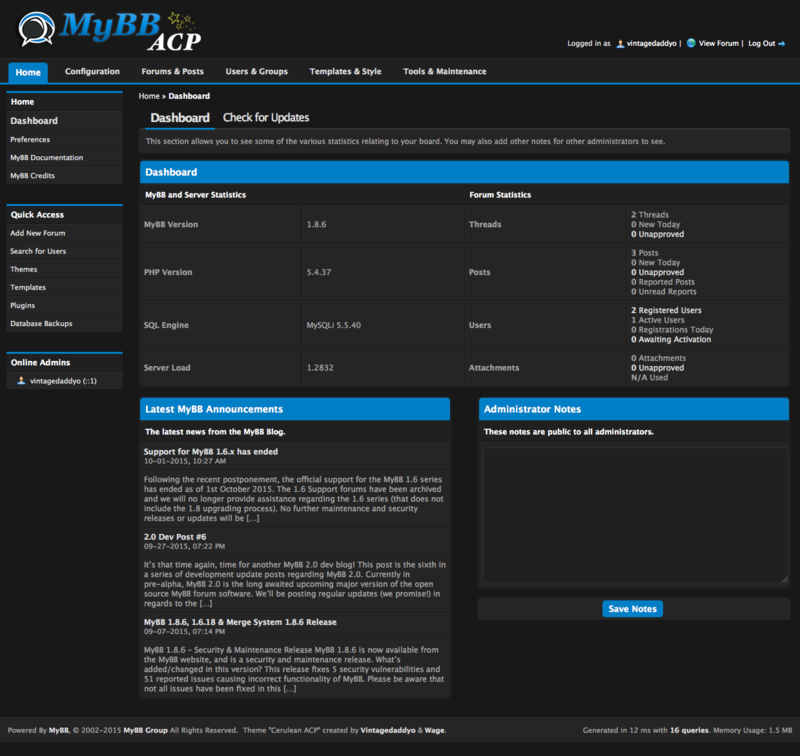 A darker blue theme based off the original BlueBulletin theme plus vb styled nav and shad tebbed header menu. 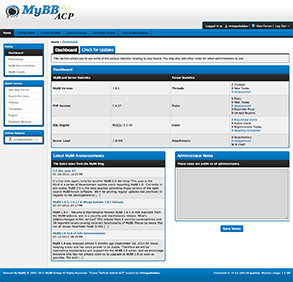 This a simple ACP Style port from 1.6 to 1.8 with a few simple improvements for MyBB enthusiasts. 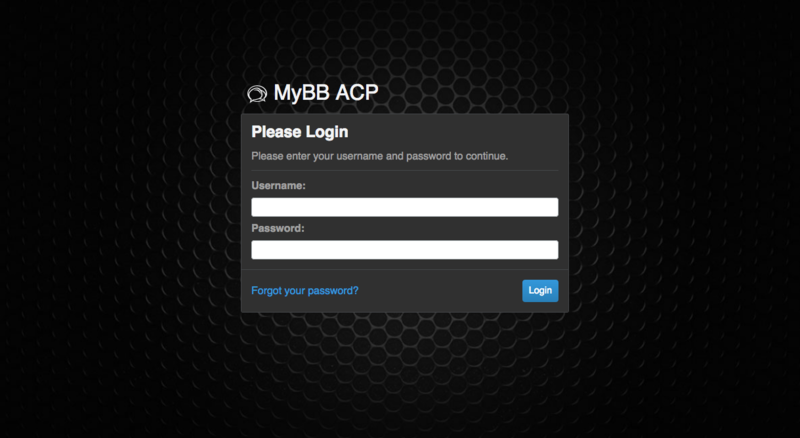 This a simple dark ACP Style for MyBB enthusiasts. 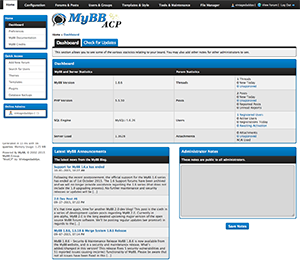 This a simple dark RTL ACP Style for MyBB enthusiasts. 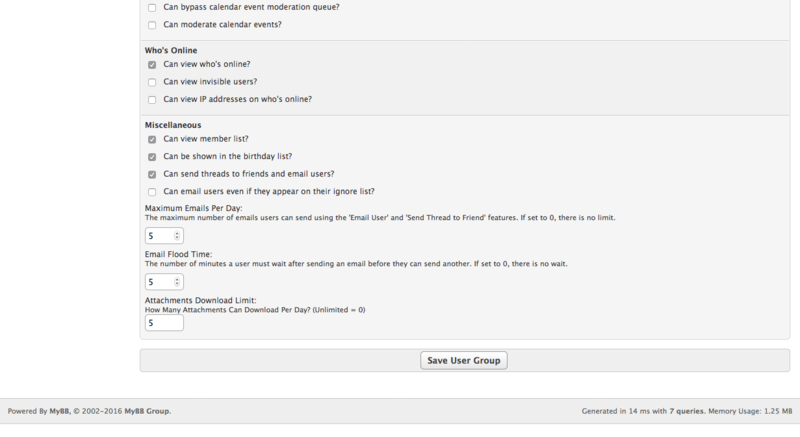 Add a Thanks button to user posts. 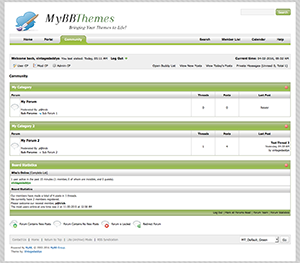 Allow Theme designers to demo their themes and their users to quickly change/view and download their themes. 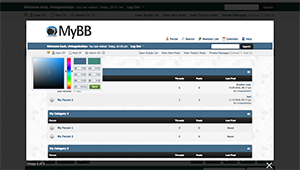 Easily create an image slideshow. 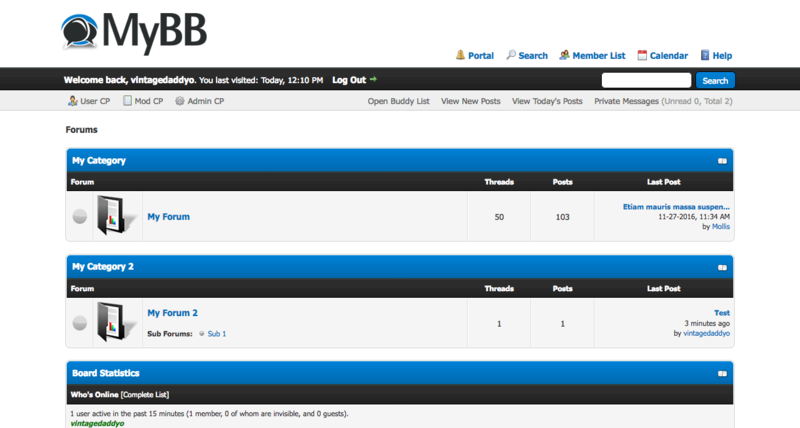 Adds view User Threads and view User Posts to the welcomeblock_member_search. 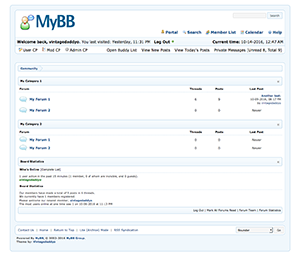 Shows a welcome box to guests on index and portal page. 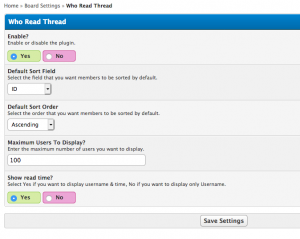 Show lasts users who have visited a thread.